In a software release cycle, localization steps like extracting or updating language resource, pushing them to translation platform, pulling them back and packaging, quality checks, etc., seem necessary but sometimes they lack attention which affects translation quality and timely delivery. Transtats helps to tie up loose ends in the localization cycle. It's an attempt to automate some of the steps. Idea is to sync with translation platform for statistics (How progress is going? ), comparing stats with product release build systems (Is latest translations packaged? ), managing translation differences (What piece of translation cause an error or left to get translated? ), keep upstream repository updated (May update upstream with translations) and create notifications (Based on release dates: to Developers, Quality Engineers and Managers). Transtats jobs sync with translation platforms, release calendars, build systems and upstream repositories for packages to process translation data. And information is represented through charts & graphs for enabled languages; grouped by product releases. YML based jobs enhance capabilities and make it flexible! 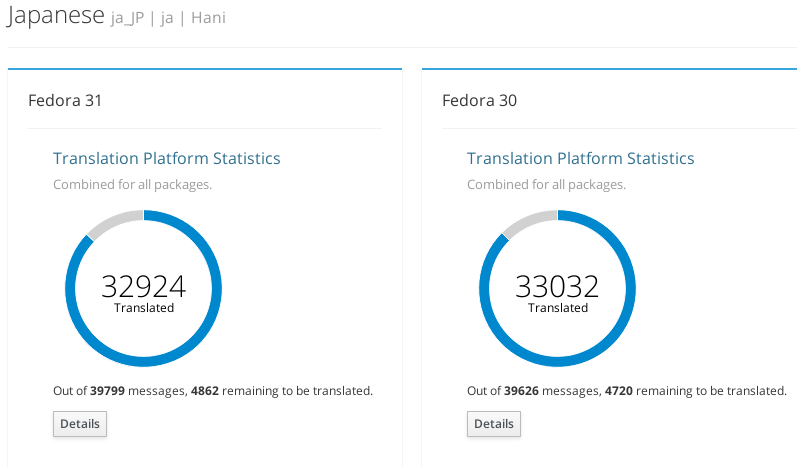 Tracking translation completeness of packages for product releases with respect to current development seems meaningful to localization teams, developers, package maintainers and quality engineers. 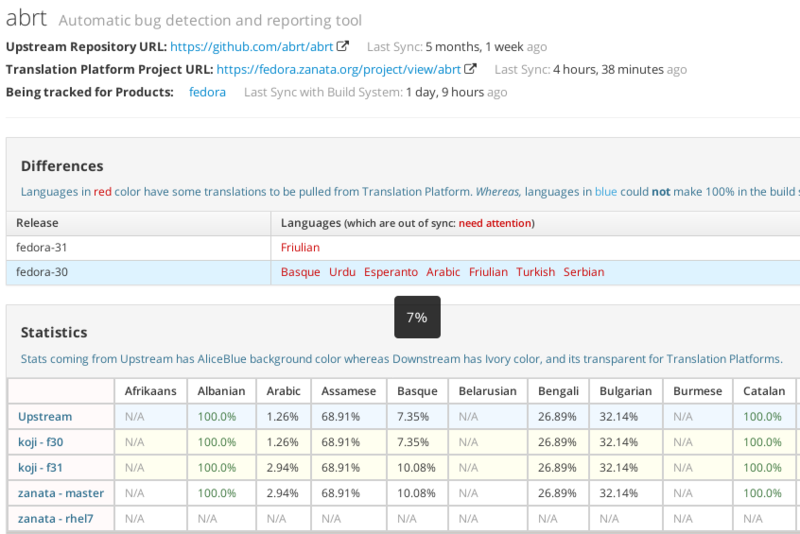 From estimating translation update volume to inspecting translations in the built package, Transtats can be engaged throughout a release. 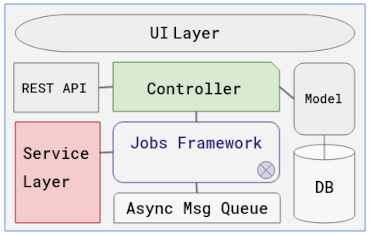 Once a package is sync’ed with the translation platform, upstream repository, and build system through jobs, meaningful results can be obtained. It shows the translation position at all three places. Plus with branch mapping done, differences could be calculated which indicate whether a package is out-of-sync or not, and if so, which languages need attention to get it fixed. Having an estimate at an early stage of the development cycle is very helpful for the translation team. Transtats does it for releases across packages. It has three views: combined, detailed and per language. This is achieved through branch mapping maintained for every package. 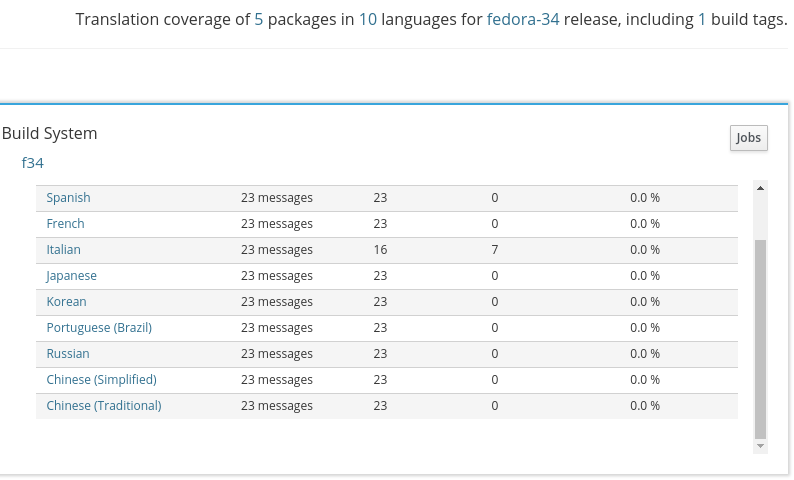 It is also helpful for package maintainers and developers tracking strings during translation and packaging. Sometimes tracking translation status of a component (for a release) is required, where a component comprises of a set of packages. This can be achieved by creating graph rules. Rule of a package set for a specific release in associated (to release branch) or selected languages. And coverage graphs are created based on these rules. Transtats is a Red Hat sponsored project. Server could not be reached at the moment. Please try after sometime.